For 16 years Catnip Trails worked tirelessly to save the homeless pets of central Florida. We have rescued, re-homed, adopted, transported, reunited, and either medically or behaviorally treated thousands of cats & dogs and even a few livestock. However, we no long offer shelter services. Below are just a few of the successes we have celebrated, and the reason we continue to help others find the resources they need to save lives. 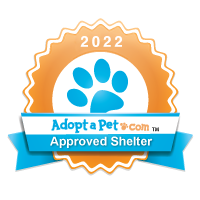 Catnip Trails is now taking a more proactive approach to help people find the resources they need to keep animals out of the shelters in the first place. While we no longer offer shelter/foster services, we will try to help you find the resources you need. Remember all rescues are over-crowded and under-funded. No rescuer likes being emotionally blackmailed with a threat to dump an animal. No matter how desperate your situation may seem you will get far more assistance without all the drama. If you do find a rescue willing to help you, offer to help them in return. Many have a wish-list of household items, volunteers, or pet-store gift cards. Please consider making a donation to Catnip Trails so that we may continue to offer free services to those in need.